Established in January 1995, Steed has gained a reputation as one of Savile Row’s finest bespoke tailors, offering clients a signature style of soft, understated elegance. January 2002 was Steed’s eighth year in business and one which resulted in Edwin taking full control of the company. 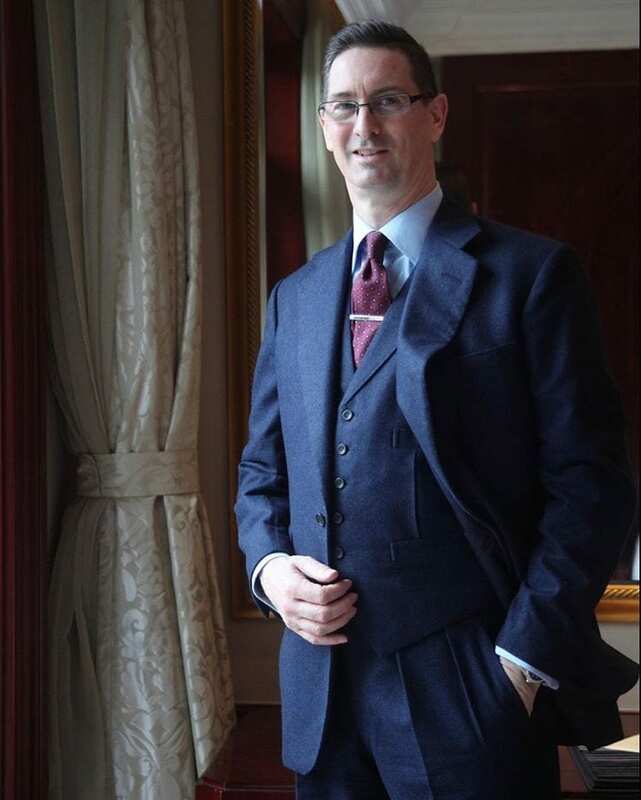 September 2008 saw Edwin’s eldest son, Matthew Deboise, join the company which now sees him running all business operations in the role of Managing Partner alongside his training under his father as a Savile Row Cutter. Matthew will be the fourth generation of Deboise Savile Row Cutters. Furthermore, the last couple of years has seen Matthew look after well known Sportsmen such as Aaron Ramsey (Arsenal & Wales International Footballer) , Darren Barker (World Champion Boxer) Paulie Malignaggi (2x World Champion Boxer) and Darren Clarke ( 2016 European Ryder Cup Captain & Former Open Champion). In 2013 Steed grew it’s family run company again with Edwin’s youngest son, Christopher, joining both his father & eldest brother at Steed at their Cumbrian base. Steed’s ever growing reputation and use of social media has resulted in features in such publications as American GQ, Russian GQ and The American Express Departures Magazine. Additionally, a ten page article written by Matthew Deboise has been published in China’s top fashion magazine, TIDE. 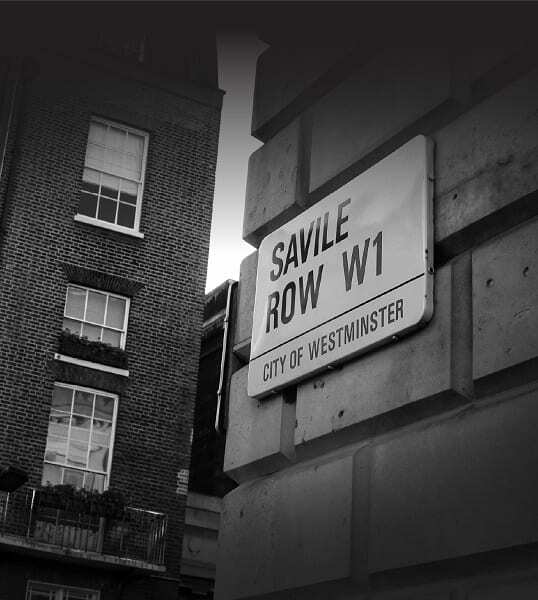 Savile Row is globally renowned for it’s bespoke tailoring and has been dubbed “The Golden Mile of Tailoring”. The word ‘bespoke’ is even said to have originated there when cloth for a suit was said to “be spoken for” by an individual client. Savile Row is known for creating bespoke garments since the 1800’s for the elite – they have been credited with creating bespoke garments for historical figures such as Winston Churchill and Lord Nelson as well as more recent well-known figures such as the Prince of Wales and Muhammad Ali. True Savile Row bespoke tailors create their bespoke garments only through collaboration; a fusion of the traditional skills of the master bespoke tailor and the selections and tastes of the client. The creation of a bespoke commission is a personal experience for both the bespoke tailor and the client. Most of all, it is the relationship between the two that determines the success of the outcome. At Steed, you deal directly with Edwin and Matthew, Savile Row Bespoke Cutters rather than a sales representative or middle man. They believe when purchasing such a personal garment you deserve the entire attention of your cutter. You’ll always have the undivided attention of Edwin and Mathew when in any appointment at Steed. 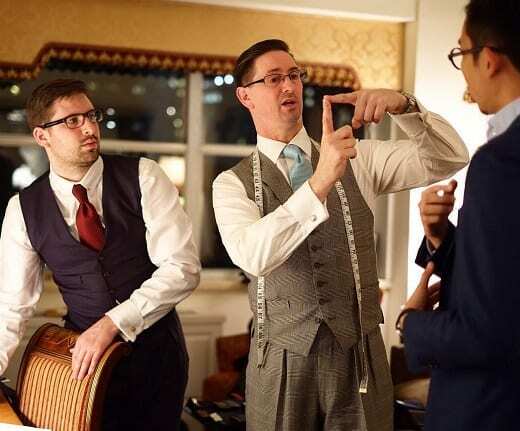 Edwin and Matthew will personally assist and advise you through their selection of cloths, weights, designs and their house cut – then transform your selections into a unique suit you really can call your own. The story started with Edwin, a third generation Savile Row Cutter, growing up in the tailoring environment, often helping out with his father in his workshop when he was just 10 years of age. As a young man he trained at The London College of Fashion and then worked under the legendary cutter Edward Sexton (at Sexton and Tommy Nutter‘s famous “Nutters of Savile Row”), followed by seven years at Anderson & Sheppard before founding Steed. Edwin is closing on fifty years of experience, over thirty on The Row, looking after fashion icons such as Franco Moschino, Nicola Bulgari and Manolo Blahnik.